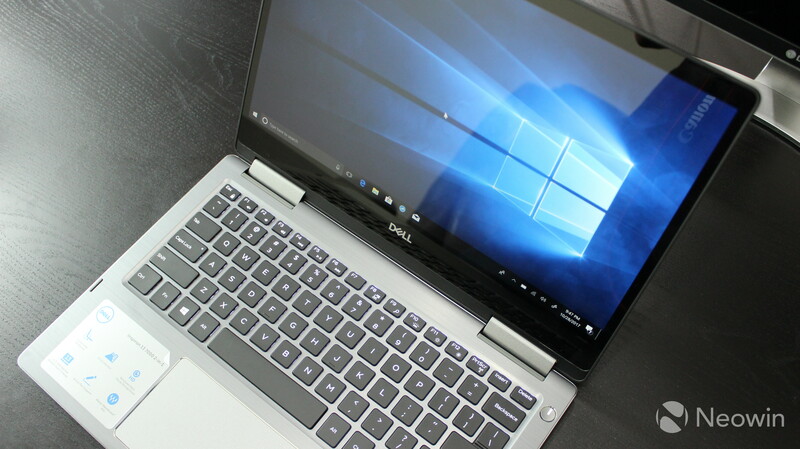 Back in August at IFA in Berlin, Dell unveiled a new range of Inspiron portable PCs, touting Intel's new eighth-generation U-series processors, which are quad-core, whereas previous generations were only dual-core. 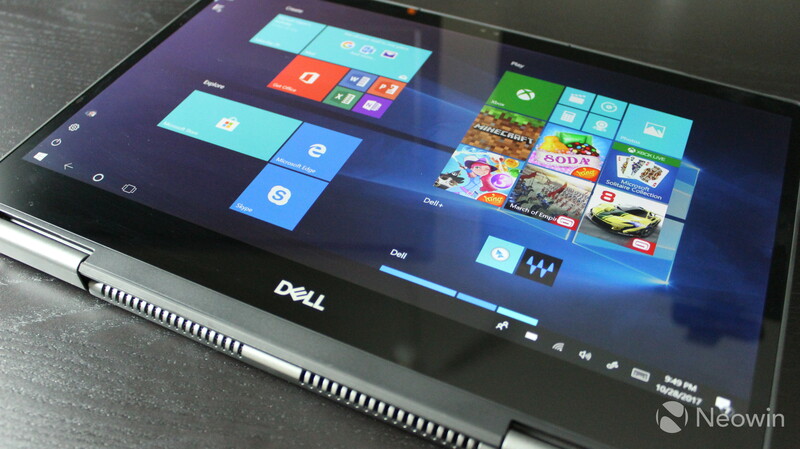 Among the new range is the Inspiron 13 7373, a 360-degree convertible with pen support, a sleek aluminum body, and a quad-core processor that starts at just $699.99. But does it provide value for that price? Read on for our review. 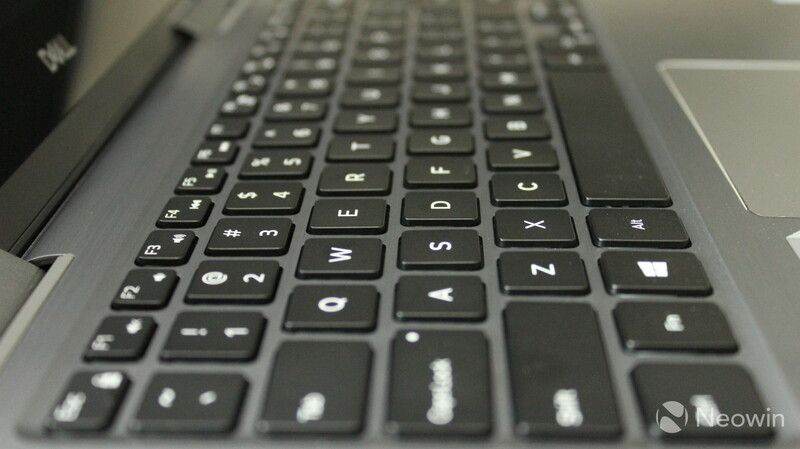 Similar in shape and size to the XPS 13, which I reviewed last month, the Inspiron 13 7373 contains an all-metal unibody, so there's no carbon fiber finish on the keyboard. I like the look better, although I miss the soft feel of the carbon fiber. 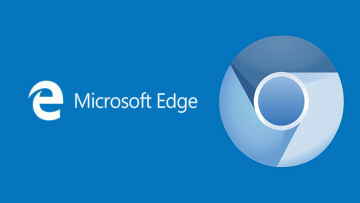 The chrome Dell logo is a nice touch as well. It's definitely a nice-looking device, although while it's shiny, it doesn't gain any points for originality. On the left side of the device, you'll find a USB 3.1 Gen 1 Type-A port, USB 3.1 Gen 1 Type-C, HDMI 2.0, 3.5mm audio, and a legacy power jack. 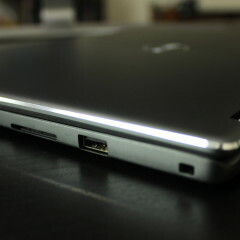 The Type-A port includes PowerShare, which means that you can charge devices from it when the laptop is powered down. 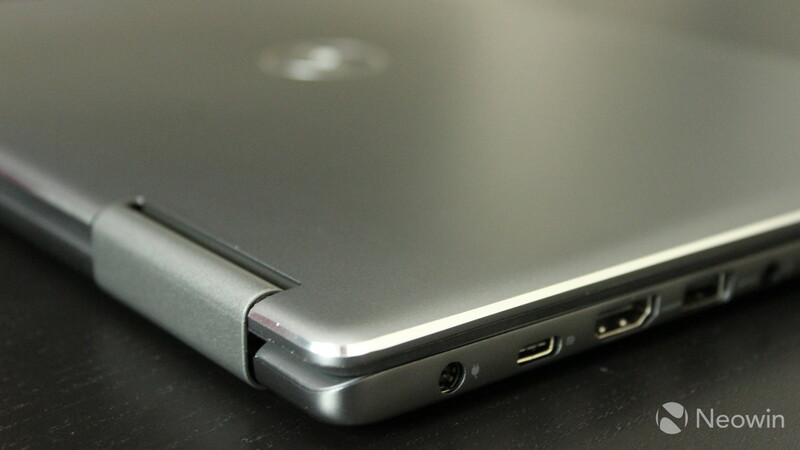 The Type-C port is disappointing given the lack of Thunderbolt 3, although you can use it to charge the PC itself. I like this option, because there's a legacy power port for those that have extra Dell chargers lying around, and then there's the newer Type-C charger, which allows you to use the same cable across devices. HDMI 2.0 is a nice touch and it offsets the downside of not having Thunderbolt 3, since it can power a 4K display. The right side of the device is far less interesting, containing a full-size SD card reader, USB 3.1 Gen 1 Type-A, and a Noble Lock. If you're unfamiliar with USB 3.1 Gen 1, it offers data transfer speeds of up to 5Gbps, compared to Thunderbolt 3, which would be 40Gbps. Two speakers are placed on the bottom of the convertible. This design has its pros and cons. 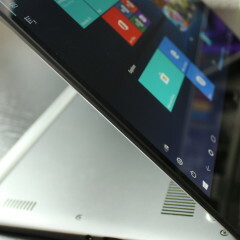 Being a PC with a 360-degree hinge, you can use it like a tablet and those speakers will actually be facing you. Of course, when using it as a standard laptop, they will be facing down. 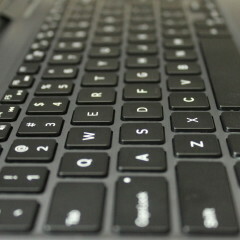 The area surrounding the keyboard is a slick metallic silver color, and the keyboard is black. 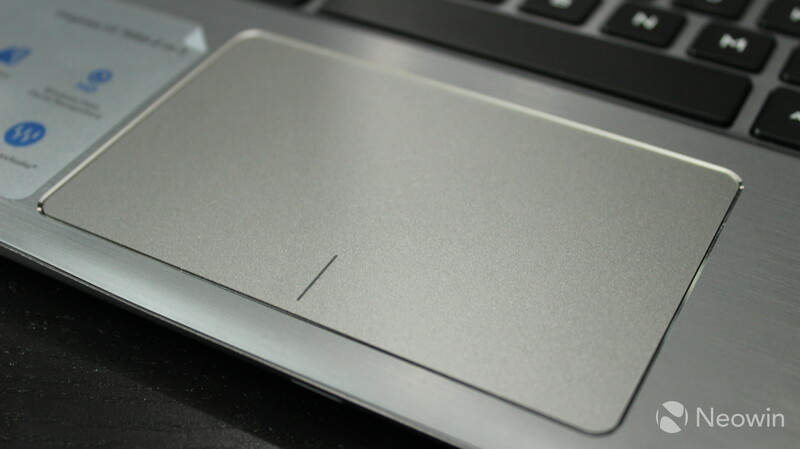 The trackpad is slightly off-centered to the left, and it has chrome accents. 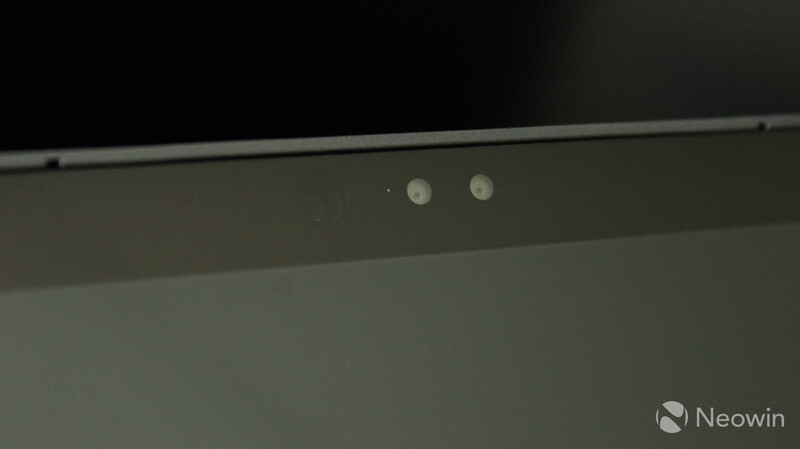 There's also a power LED on the front of the device, which is what you'll see while it's charging. This takes a little getting used to, since most PCs just have an LED next to the charging port. 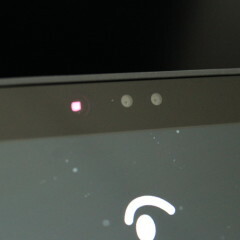 The camera is actually placed above the display, unlike the XPS laptops that have it under the screen. Of course, this results in a slightly larger bezel. 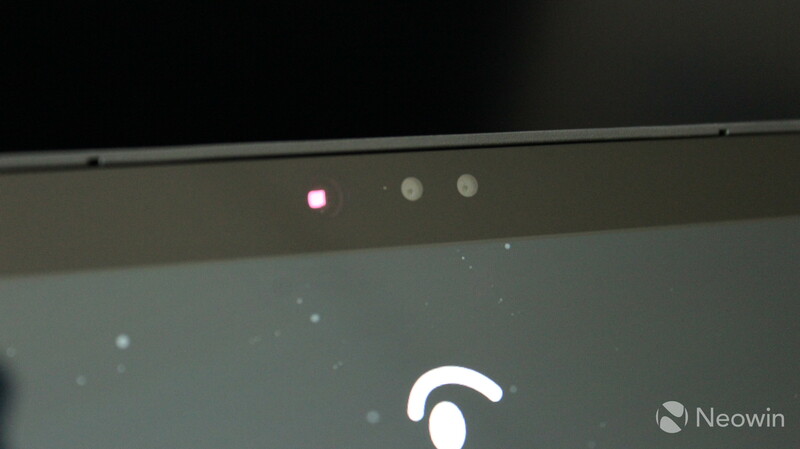 Next to the camera is a built-in IR camera for Windows Hello. As I mentioned above, the bezels on the 13.3-inch display aren't as narrow as on an XPS laptop, but they are pretty thin. 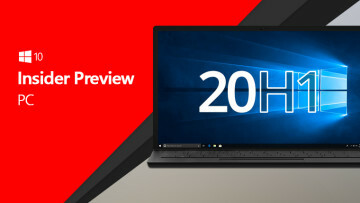 The resolution comes in at 1080p, and there are no options for a higher resolution unless you go for the 15.6-inch model, which offers a 4K flavor. 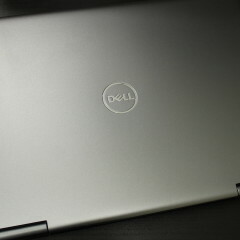 I do prefer a higher resolution at 13.3 inches, but I've enjoyed using the Inspiron. I'd recommend adjusting the scaling by going to Settings -> System -> Display in the Windows 10 settings. As you'd expect from any convertible PC, the screen does support touch. This is necessary when you might end up using it as a tablet or in another form factor. It also supports pen input, which is great; however, it doesn't come with a pen. You can use the Active Pen that Dell sells, or any other N-Trig pen. Just as with a higher resolution screen, I can wish that this machine came with a pen, but the Inspiron 13 7373 offers a lot of value for the price. I really don't mind that they didn't include a pen, allowing it to come in at a lower price point. You can always buy a pen separately, or use one that you might have lying around. 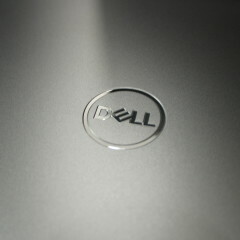 I really enjoy Dell's keyboards, and the Inspiron is no exception. It's not the most quiet keyboard, which is a bummer because I'm a loud typist, but it's very comfortable to use. I also want to emphasize that it's accurate. There's enough space between the keys that I don't make a lot of mistakes, and it's also not too sensitive. I've used other laptops from other OEMs where occasionally, I'd type a key and the character would appear twice, or not at all, especially in certain weather conditions (such as if the device was in my car for a few hours and it's cold out). The keyboard is backlit, a feature that I don't use a whole lot, but it helps to see the keys in dim lighting conditions. 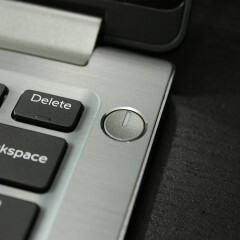 You can toggle this on and off by hitting the F10 key. My test for a keyboard is if I can write an entire review on it, and I already know that I'll be able to do that with ease. I've been using this machine as a daily driver for a few weeks now, and it's just so comfortable to type my articles on. 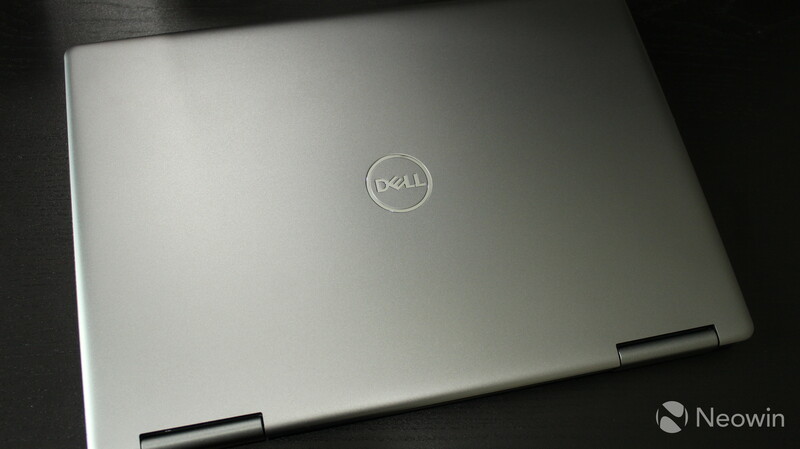 The new Inspiron 7000 series uses an IR camera for Windows Hello facial recognition. It's excellent, and it's natural. After all, you're sitting in front of the screen, so it only makes sense for that screen to see that you're the one sitting in front of it and log you in. 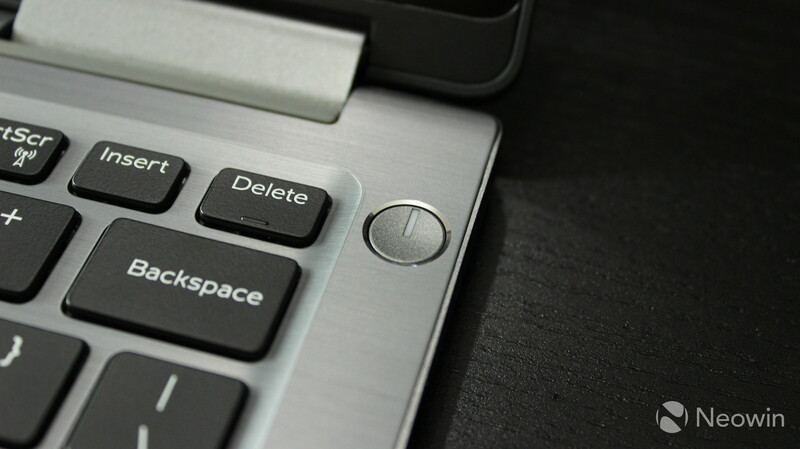 Many other PCs, including Dell's flagship XPS devices, use fingerprint sensors for Windows Hello, and while it works, I never feel like fingerprints feel natural on laptops unless they're integrated into the power button, which you're pressing anyway. Also, IR cameras are pretty standard, whereas some fingerprint scanners just aren't very good. I've never had any real issues with the quality of an infrared camera. I will always include a software section in any review about a PC that has McAfee anti-malware software preinstalled. In this reviewer's opinion, the software itself is malware, and it's irresponsible to give it to users without them asking for it. And if it's not clear, the Inspiron does come with McAfee. Luckily, it's easy to uninstall by heading over to Settings -> Apps, locating McAfee, and clicking uninstall. You'll need to restart. 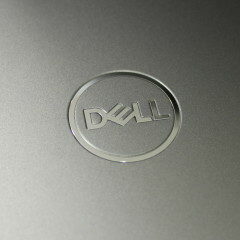 Other than that, Dell provides a pretty vanilla experience. The Dell SupportAssist app is where you can go to update drivers and firmware, and I recommend checking this periodically, even though it will automatically tell you when you have an update. There's also a Dropbox promotion app, which offers you some free Dropbox storage if you sign up. 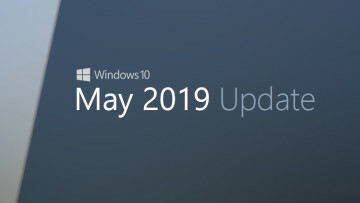 It's a Store app, which means that you can uninstall it with just a few clicks, just like the junk that Microsoft itself piles onto Windows 10 installations, like Candy Crush Soda Saga. 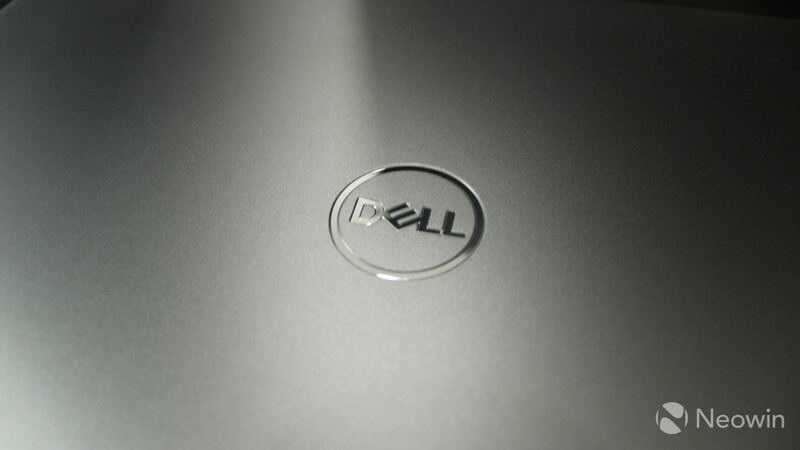 Dell quotes the Inspiron 13 7373's 38WHr battery as supporting eight and a half hours of usage. I found this to be refreshingly close to accurate, or at least much more accurate than other devices' quotes. Most companies test their devices under optimal conditions, so the results don't reflect real life. 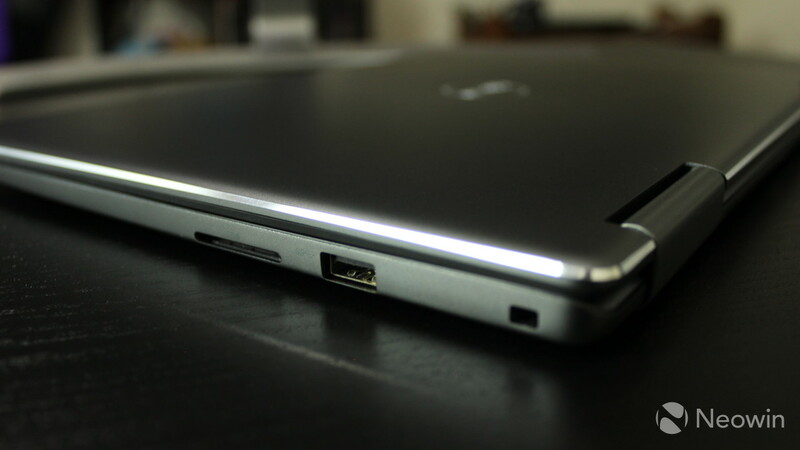 On a good day, depending on how you use it, you can definitely get eight hours out of the Inspiron. Don't throw away your power cable at work yet though; if you use it for heavier use cases, you'll get more like six hours. There are two different charging solutions: USB Type-C and a legacy port. The device comes with the legacy cable, although I tend to use Type-C, since the vast majority of my laptops (actually, it's all of my non-Surface laptops) use the same charger. The legacy option is nice though, as many consumers, and especially businesses, might have old chargers lying around that they don't want to go to waste. 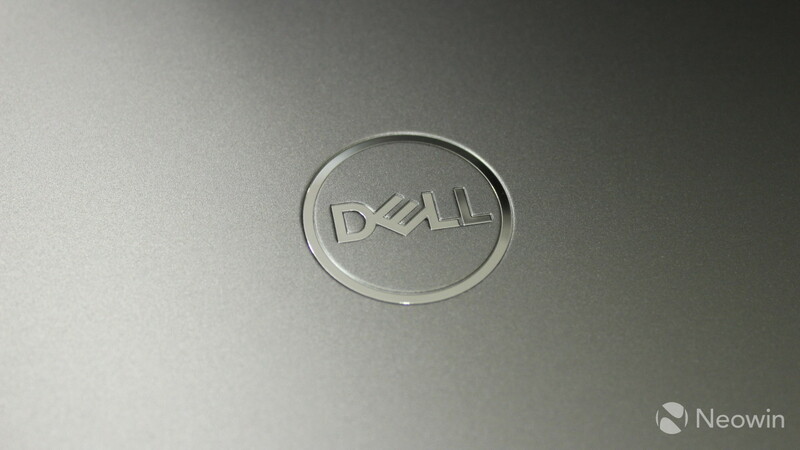 The new Dell Inspiron 7000 series comes with Intel's eighth-generation U-series processors. If you haven't heard by now, those are quad-core, offering a significant performance boost over the dual-core processors of last generation. Intel still hasn't announced a whole lot of SKUs of its new chips - there are only two i5 models and two i7 models. 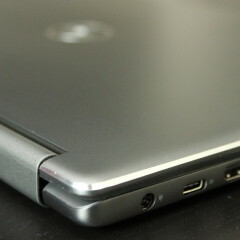 This one uses an i5-8250U, the lower end of the two. There's not much of a difference - the two chips have the same SRP ($297) - but the 8250U has a clock speed of 1.6GHz instead of 1.7GHz, which is in the 8350U. It uses Intel's UHD Graphics 620, which isn't much of a change, other than the name, from the seventh-generation chips' HD Graphics 620. I found performance to be quite impressive. The machine that I was sent has a Core i5, 8GB RAM, and 256GB SSD, and I was expecting to struggle a bit, since most of the machines I use have an i7 and 16GB RAM. I never even noticed a difference, even with a dozen Chrome tabs open. For benchmarks, I used PCMark 8, which provides three tests: Home, Creative, and Work. First up is Home, which tests tasks like casual gaming, photo editing, video chat, and so on. As you can see, the results come in at better than 62% of all results, which is really impressive for a Core i5. Next up is the Creative test, which checks things like advanced video editing, advanced gaming, and more. 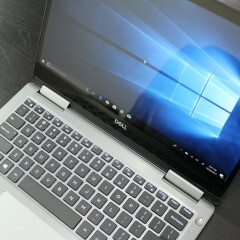 The Inspiron 13 7373 also performed quite will on the Creative test. Finally, Work tests productivity-related tasks, like writing, spreadsheets, and video chatting. I was surprised to see that it didn't do quite as well on the Work test, but overall, the device did quite well. Of course, if you want a bit more juice than you see here, there's an i7 model as well. 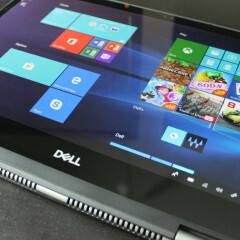 Dell's Inspiron 7000 series is offered in both laptop and convertible form factors, and this one is a convertible, meaning that you can fold the display back to 360 degrees. This means that you can use it in a variety of ways. 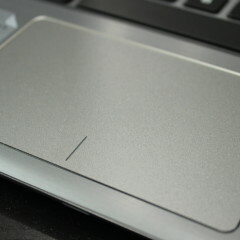 The most obvious is that it can be used like a laptop, by keeping the display at around 90 degrees. This is how I use it the vast majority of the time, but by folding the screen all of the way back, you can use it as a tablet. On Windows, I find the tablet experience to be most useful for taking handwritten notes in OneNote, but since it has pen support, there's quite a bit that you can do with it. You can draw in Windows Ink Workspace, write on images in Photos, mark up webpages and PDF files in Edge, draw routes in Maps, and more. And of course, you can do anything in between. You can prop the device in tent mode, which is great for watching movies or doing presentations. 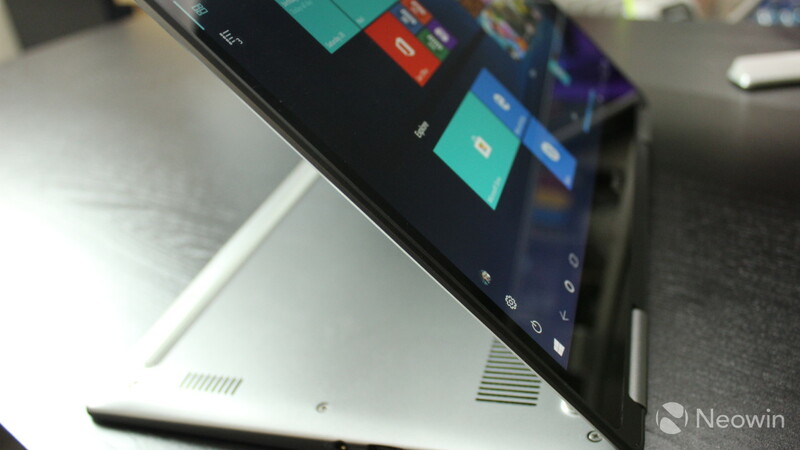 You can also achieve the same effect by placing the keyboard face-down and folding the display up. As I mentioned earlier, the speakers are located on the bottom of the device, so depending on the form factor that you choose, you will experience better audio quality. 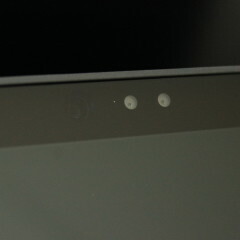 For example, in tablet and tent modes, the speakers are actually facing toward you, unlike in laptop mode. As I mentioned earlier, the Inspiron 13 7373 2-in-1 starts at just $699.99, and that includes an eighth-generation Core i5, 8GB RAM, and a 256GB SSD. The new machine provides a tremendous amount of value for the price. It offers a sleek design, powerful performance, and a versatile form factor. To provide that price tag, it does miss out on some bells and whistles, such as including a pen, or a higher resolution display. Still, just having pen support is great, and you can always pick one up at a later date, or shop around for a better-priced option than Dell's pen.